Tom Trnski grew up at a beachside suburb in Melbourne and spent his summers exploring the local rockpools. Once he learnt how to snorkel his interest in marine life expanded and continues to this day. 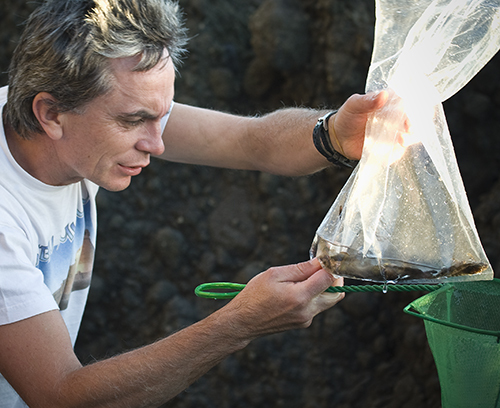 He now studies fishes of the southwest Pacific region, and he is a specialist on the larval stages of fishes – the stage between hatching from their egg to settlement into juvenile habitat – including their identification and ecology. 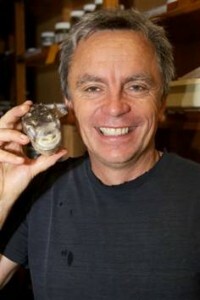 He spent over 20 years at the Australian Museum, Sydney, before moving to the Auckland Museum in 2007. Tom has published books and scientific papers describing fish larvae and their fascinating life history. He has also led and participated in many surveys of fishes throughout the Pacific, from Indonesia, the Great Barrier Reef, Coral Sea to French Polynesia. In 2011 he led a biodiscovery expedition to the Kermadec Islands with scientists from five different agencies collecting and documenting species. 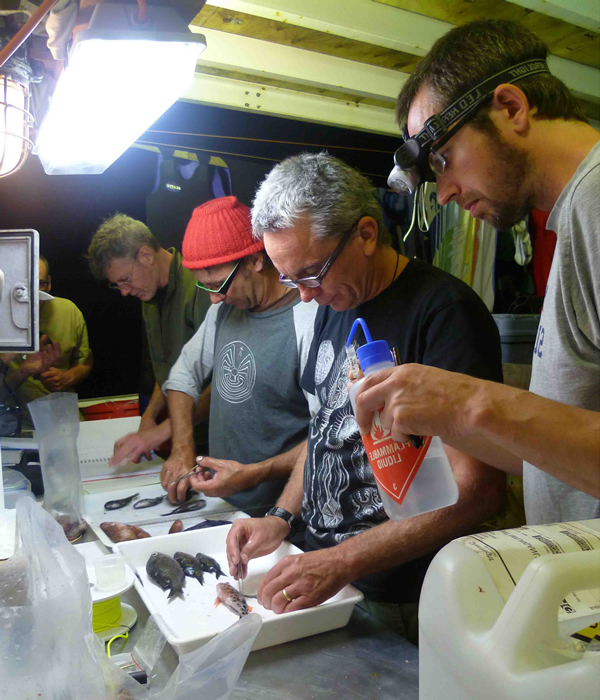 The expedition was the largest of its kind to the Kermadecs – one of the world’s most untouched marine environments – and included discoveries new to New Zealand and to science. Current projects include the voyage of discovery to the Three Kings Islands, helping to develop content for our 2013 marine exhibition Moana. My Ocean (including sharing the Kermadec discoveries from 2011) and the role of contributing author to the Fishes of New Zealand project that will be a published guide to over 1,300 species. To discover what animals and plants live in the marine environment around the Three Kings Islands. I am excited about this expedition because Three Kings Islands is known for its ‘high level of endemism’ of marine fauna and flora which means that the islands and the waters around them are home to a high number of species that occur nowhere else. We’ll be focusing on the marine environment and I anticipate that we’ll find some new records for New Zealand including fish, invertebrates and algae. We want to discover, and record, the full range of animals and plants that live in the waters around these New Zealand islands. To ensure we get the most representative spread of species that we can we’ll be using a range of methods to collect them. This expedition is definitely a team effort, and we require a range of skills that are not available in any one organisation. The team has been assembled from five agencies to complement each other’s skills and to provide the full range of expertise required to undertake this biodiversity survey. My role is to pull the scientific team together and to coordinate the expedition. I have developed these skills after participating in and leading a number of remote area surveys, including to remote oceanic islands. As for fish collecting, we want to capture diversity rather than large, trophy-sized fish. I have experience with a wide range of methods that will ensure we catch a wide range of species. I have a dual role as the manager of the Natural Sciences team at the Auckland Museum, and a smaller fraction of my time is to undertake marine research activities. In my management role I attend many meetings as representative of the Natural Science curators and collection managers and I support the activities of these staff. In my research role I maintain contact with my collaborators, contribute research results to publications, answer professional and public enquiries relating to marine biology, and contribute to the development of exhibitions and public programs at the museum. The most interesting aspect of my work is the wide range of activities that I undertake in any one day, the diversity of people I communicate with, and the unexpected events and requests that frequently occur.